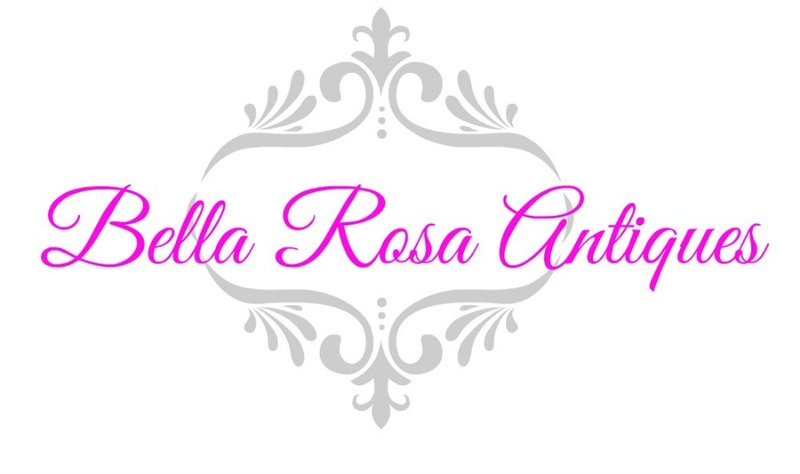 Each week I host a "Link Party" ...every Tuesday at 9 AM, inviting anyone who has a blog, sells vintage, or loves to create and repurpose using vintage things to link up in this weekly space. 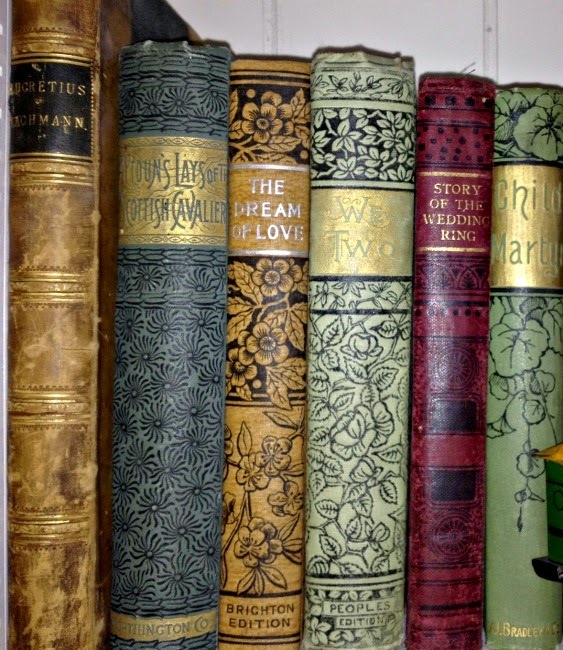 This week I'm sharing my love for old books. Yep. I love 'em. Especially if they have artistic spines. These photos are straight from my own collection. coming from the same publishing company. I have some of them grouped together. Like the poetry theme above. Where do I find them, you ask? travel to Maine each summer to visit my Dad. I found a lot in New England. Some I sell, and some I keep. 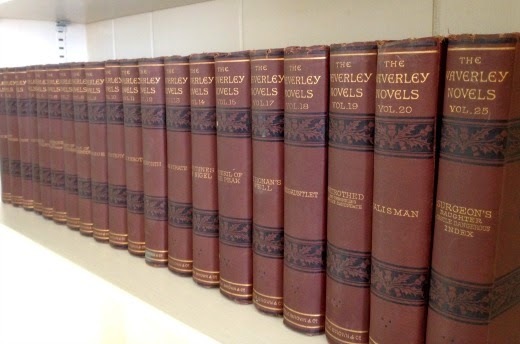 collection of antique Waverly Novels. They look stunning, all together! antiques and bookstore in Florida. Features will pick up again next week. Well, now it is your turn. Beautiful covers Jillian. Such a wonderful collection. Treasures. Thanks for Lets Talk Vintage 19. 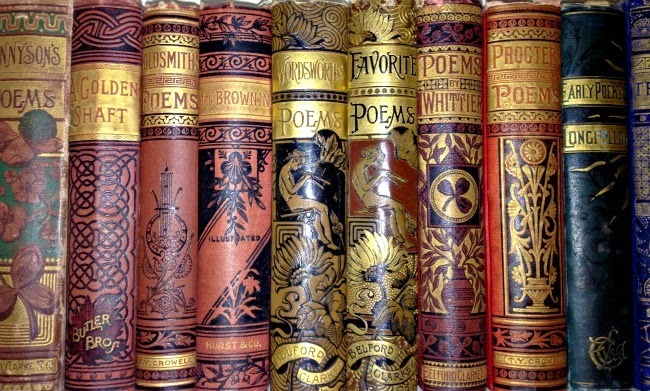 Old books can be beautiful you have some lovely examples. Thanks for the party. 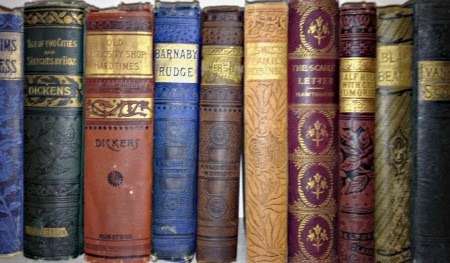 I love old books! 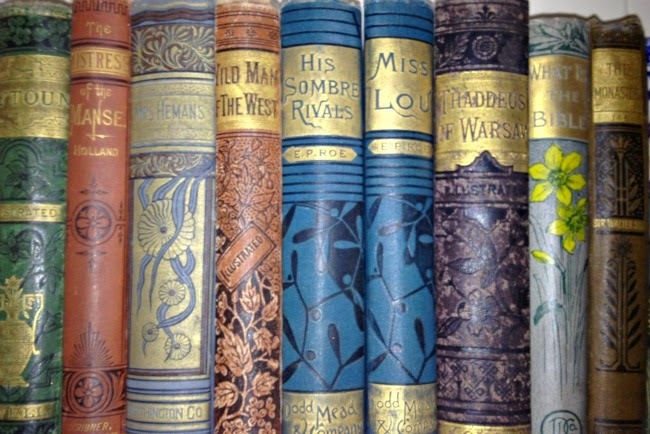 I am drawn to the covers and spines like the ones you have. I think they are decorative and like to display them, too. Thanks for the party! 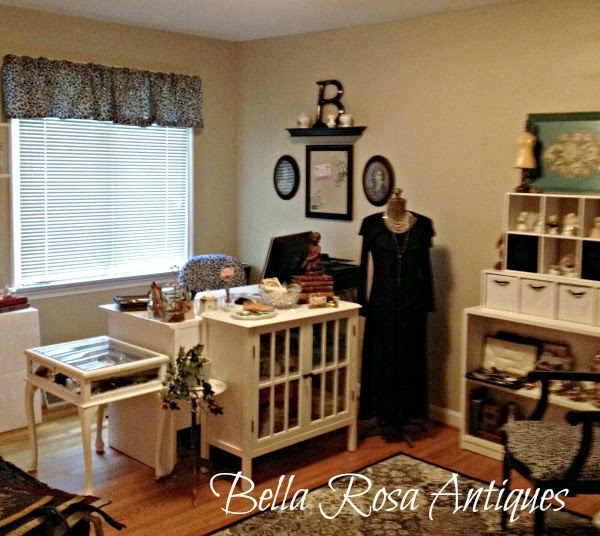 What a beautiful collection you have! 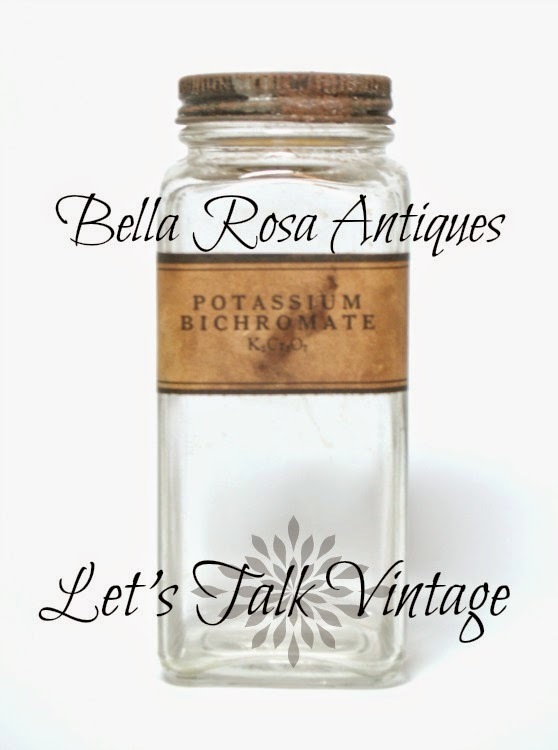 Thanks for sharing them with us at Vintage Inspiration Party. I love your books. We certainly have a lot of funny old book stores here in New England.